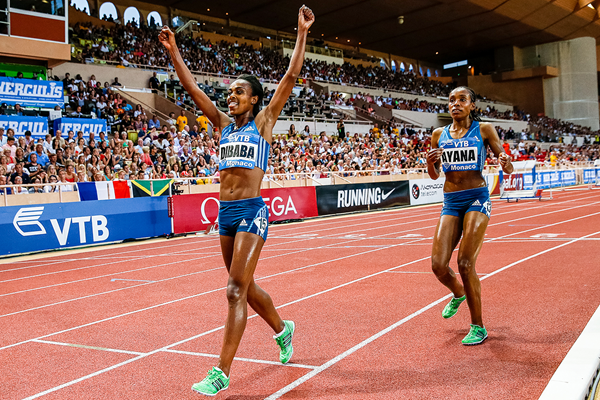 Both women have already come close to breaking the 5000m world record in recent weeks, but at the Meeting Areva on 4 July Almaz Ayana and Genzebe Dibaba will face each other for the first time this year in a bid to run faster than 14:11.15 at the IAAF Diamond League meeting in Paris. The world record has stood to Dibaba’s older sister Tirunesh since 2008, but it came under threat at the IAAF Diamond League meeting in Shanghai earlier this year when Ayana clocked a world-leading 14:14.32. Genzebe Dibaba, who set a world indoor record of 14:18.86 for the distance earlier this year, triumphed over 5000m at the IAAF Diamond League meeting in Eugene at the end of May in an outdoor PB of 14:19.76. Ayana’s participation in Paris was announced earlier this month, but the addition of Dibaba means fans at the Stade de France will be treated to once of the most eagerly awaited head-to-heads of 2015. The pair will clash for the first time this year when they contest the 5000m in the French capital. Helped by two pace makers in the first half of the race, Dibaba and Ayana will be out on their own for the closing stages as they set out to achieve the first world record in the history of the Meeting Areva. Their career head-to-head record current stands at 6-2 in Dibaba’s favor. They met three times over 5000m last year with Dibaba winning in Rome and Monaco, but Ayana finished almost 10 seconds in front of Dibaba when winning the African title in Marrakech.